Lily-Rose Depp dazzles in new Chanel campaign | HELLO! Lily-Rose Depp certainly inherited her mother Vanessa Paradis's modelling gene! The 17-year-old has been unveiled as the new face of Chanel fragrance. The photos show the teenager holding an oversized Chanel perfume bottle, and she called her second campaign for the brand an "incredible honour." The daughter of Johnny Depp and Vanessa shared two snaps from her photoshoot on Instagram, where she thanked Chanel for the campaign. Sharing a close-up photo of herself looking at the camera, which is then reflected in the bottle of perfume of Chanel No. 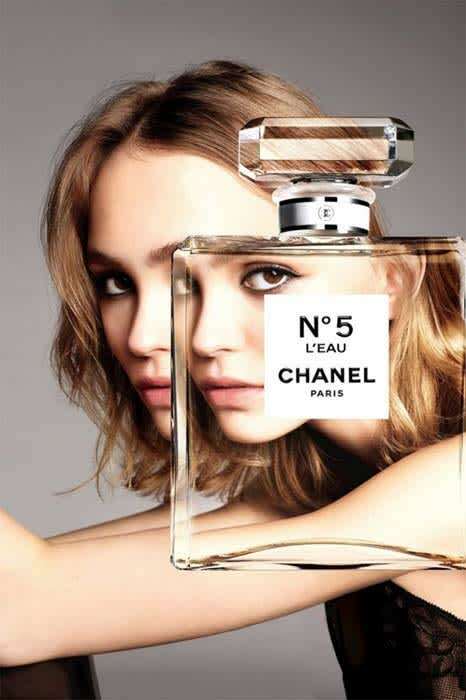 5, Lily-Rose wrote: "New N°5 L'EAU campaign @chanelofficial shot by @karimsadli. Thank you so much to the entire Chanel team for this incredible honor!! #newchanel5 #youknowmeandyoudont." Johnny has previously opened up about his daughter's incredible success in the modelling industry, telling Entertainment Tonight: "I didn't expect that all this soon. I'm incredibly proud. She's handling it beautifully, she understands well enough that it's only whatever it is. "She's got a good head on her shoulders. She's doing a great job. She's killing it." The teenager is also an actor, and made her debut starring opposite her father in 2014's Tusk. At the time, the director Kevin Smith opened up about their father daughter relationship, telling People magazine: "It was adorable. There's a scene in an interrogation room between the two of them and they're actually trying to out act each other and it's really cute. "Then Lily busts out some French - because she speaks French really fluently - and just shows him up." The star also recently came to her father's defence amid claims by his ex-wife, Amber Heard, that he had been physically and emotionally abusive during their relationship. Sharing a snap of herself as a toddler with Johnny on Instagram, she wrote: "My dad is the sweetest most loving person I know, he's been nothing but a wonderful father to my little brother and I, and everyone who knows him would say the same."